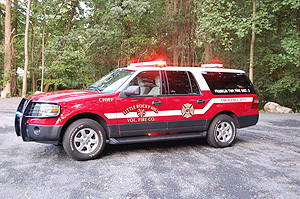 2010 Ford Expedition carries extinguishers, first responder supplies, forcible entry tools, first aid, defibrillator, SCBA, etc. 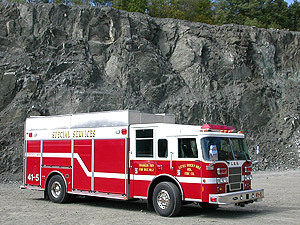 2003 Pierce Saber Encore Special Services Rescue truck. 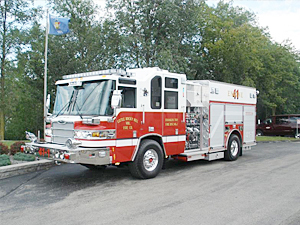 carries a full compliment of Holmatro hydraulic rescue tools. High and Low pressure airbags. Res-Q-Jack shoring system. pneumatic air jack. 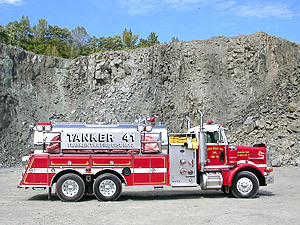 High pressure cascade system with compressor and Revolve-Air SCBA fill station. Stokes basket, Backboards, Collars. Portable pumps and dewatering equimpment. Spill containment equipment. Wil-burt telescoping light tower. 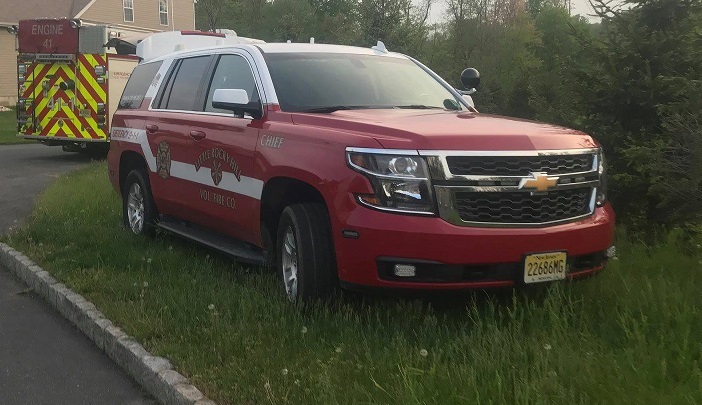 2017 Chevy Tahoe, carries extinguishers, first responder supplies, forcible entry tools, first aid, defibrillator, SCBA, etc.